Potable expansion tanks usually eliminate nuisance drips or leaks from water tank relief valves. If you encounter a problem with one, and assuming you have checked incoming water pressure to make sure it is within parameters (usually about 60-65 PSI but no more than 80 PSI per code), you likely need to add a Potable Expansion Tank. You may be shy of the necessary space needed for expansion within the building piping system. In a case like this, a Potable Expansion Tank is necessary. One should be (and in some municipalities is required to be) installed with each tank. Whenever water heats up, the mass will stay the same but the amount of space taken up by the NOW heated water will increase. 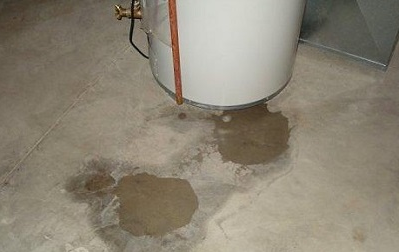 A domestic hot water system is an “open system”. In this type of system, fresh water and therefore fresh oxygen is added to the system routinely. Hence, “potable” type expansion tanks are made of a material that will not rust when fresh water as well as fresh oxygen is constantly applied. When it comes to home heating systems of the forced hot water type, you will always see an expansion tank. Traditional expansion tanks are a little different in a home heating system because the system is considered to be closed. A “closed” system means that fresh water from a household well or town reservoir will not be constantly added. Be very careful to choose the proper tank as well as the proper size tank for either application. A home heating system keeps the same water within the boiler and any oxygen present is usually bled out through either automatic air vents or manual type vents and is considered to be a “closed system.” A traditional type expansion tank can be used for this application. A domestic water system uses fresh water constantly and fresh oxygen will be constantly added and therefore will be referred to as an “open system.” A “potable” type expansion tank should be used.